Congratulations on obtaining your Learner's Permit. You have taken the first steps towards embarking on a long driving career. 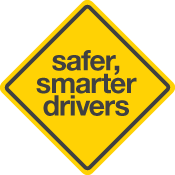 This book is designed to inform you about the journey ahead and help you become a safe and capable driver. The Graduated Licensing Scheme is the process of providing new drivers with the skills and experience to safely progress to a full driver's licence. It is explained in the next section. Learning to drive takes a lot longer than most people think. As well as controlling your car, your must learn to make decisions and respond to what's happening around you. The Driving section explains the skills and process required. - checking the vehicle, car control, observation, planning and defensive strategies. All Learner's Permit holders must be accompanied by a Qualified Supervising Driver whilst driving; and must have at least 75 hours on-road driving experience; and must pass the Hazard Perception Test before obtaining a P1 Provisional Licence. The Log Book section is the official record of your driving hours. There are two ways to qualify for your P1 Provisional Licence. You can either pass a practical driving test known as the Vehicle-On-Road Test (VORT) or undertake Competency Based Training & Assessment (CBT&A) course. This book contains the competency standards for both options. It is your responsibility to operate a motor vehicle within the conditions of your Learner's Permit and the road rules. You are also responsible for ensuring that anybody who supervises your driving is doing so legally and that you accurately record your driving experience. 'L' plates must display a black letter 'L' printed on a yellow background at the size dimensions specified below.